Costa Rica in Real Life! Sea Kayak the San Juans! Of course, all of our packages are fully customizable to suit your family's needs. We've done our best to give you some average starting prices to work with, because we know everyone needs some place to start, but prices are always subject to availability at the time of booking. The high-season is always more expensive...and not necessarily the nicest time to go, so sometimes we pick the nicer time and the better price when we put our trips together, but dates are customizeable too, of course! Sign up on our mailing list and we'll let you know when we post new trip ideas and packages! 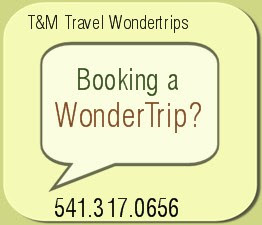 ...we send out fabulous specials and travel info that you won't want to miss!